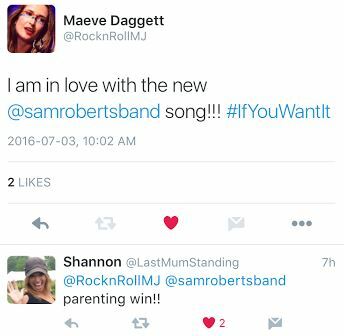 And just like that, the summer of #SRBLP6 started on Saturday with the release of IF YOU WANT IT, the tremendous new single from Sam Roberts Band we’ll hear absolutely everywhere this summer. This is not a REVIEW of SRB’s new single IF YOU WANT IT, because a review would be silly. I’ve got a raging SRB addiction, and I wear my heart on the sleeve of my Canadian tuxedo when it comes to those guys and their music. This is a CELEBRATION of SRB’s new single IF YOU WANT IT, because if early signs are any indicator, this infectious sing-and-dance-along gem just might become the song of the summer. 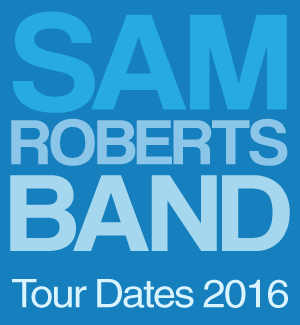 If I may be so bold, I would like to throw the term “perfect Sam Roberts Band song” out there. If you don’t like it, you can send it right back, BUT judging by the overwhelmingly positive response on social media this weekend, absolutely everybody wants IF YOU WANT IT. From the Twitter . . .
8:55 pm: First taste of @samrobertsband new single, “If You Want It”. 8:57 pm: Get on iTunes and buy it! Amazing. Love it! In Ontario, good taste runs in the family . 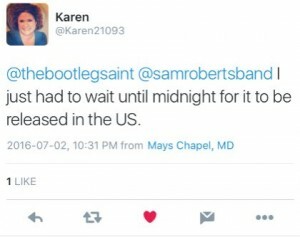 . . And our American friends will hold out as long as it takes for iTunes to give up the goods: In other news, the merch demands started already, because that’s what happens when the artwork is so rad. 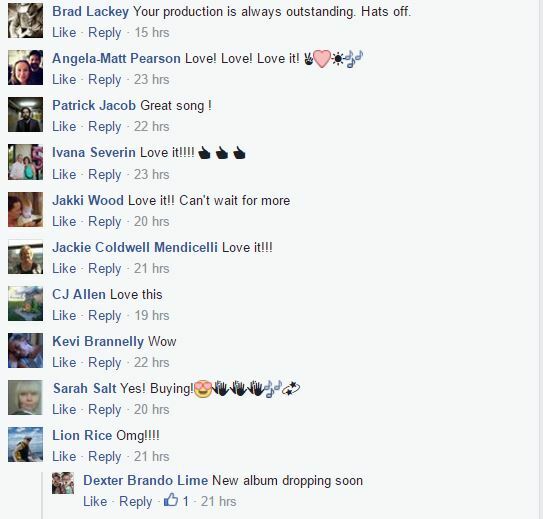 It would be impossible for the mad, mad fan love to burn any brighter on the band’s Facebook page. Here’s a random sample, but it’s all exactly like this . . .
There’s also no way I can keep up with the Facebook views, and the shares are endless, too. No official #SRBLP6 release date yet, but after this weekend’s beautifully flawless release (Apple Music! Beats 1! The Strombo Show!) of such a ridiculously impressive first jam, it’s probably best we’ve got some time to brace ourselves before we hear anything else. Until then, you can download IF YOU WANT IT on iTunes, and if you use Apple Music, you can relive the song’s premiere on The Strombo Show over and over again. Your first possible chance to hear IF YOU WANT IT live – if it makes Sam’s setlist, of course – is this Thursday at Winnipeg Folkfest. This entry was posted in news on July 3, 2016 by annie.